We are a group of historical fiction novelists who enjoy all things British. Thanks for coming to meet us. Maggi Andersen lives with her husband, a retired lawyer and their cat, in the rolling green hills of the Southern Highlands near Sydney, Australia. Maggi has a BA and an MA in Creative Writing. 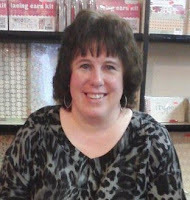 She writes historical romance, romantic suspense and young adult novels. Maggi’s historicals are set in the Georgian, Regency and Victorian periods. When not writing, she enjoys the garden, reads, visits the gym, swims, loves a good movie and the theatre. Judith Arnopp lives on a Welsh smallholding that has views across the Cledlyn Valley to Llanwnni Mountain. They used to keep a lot of animals but now that Judith has turned her attention to writing full time, just three ancient ponies and a couple of Jack Russells remain. 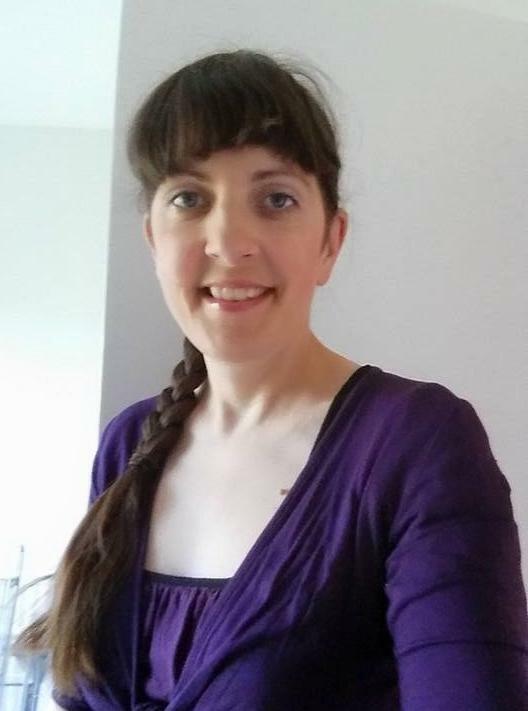 Once her children were old enough Judith returned to education and enrolled at the University of Wales, Lampeter to study for a BA in English Literature and Creative Writing and an MA in Medieval History. She now combines all those skills to write historical fiction. 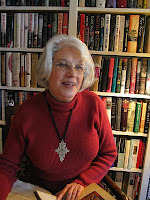 Her historical novels are written from a female perspective, The Song of Heledd set in 7th Century Powys, Peaceweaver and The Forest Dwellers in the years encompassing the Norman Conquest and Dear Henry and The Winchester Goose, The Kiss of the Concubine, Intractable Heart, and A Song of Sixpence are set in the Tudor period. Judith is currently working on the life of Margaret Beaufort: mother of Henry VII. While it’s taken 34 years for me to complete the four volumes of Montfort, an historical novel on the life of Simon de Montfort, who lived an excruciatingly eventful life and who founded England’s Parliament in 1258, I’ve written other things in the interim. Chiefly performance pieces: screenplays, stage plays and radio plays on Columbus, Cesare Borgia, George and Martha Washington, Poe, Joaquin Murietta (the inspiration for Zorro), Johnny Mitchell (coal mining in 1900) and a nun, Soeur Placide de Poyanne who helped rescue the Belgian National Treasure during WWII. Most of these were commissions. Research is research after all. 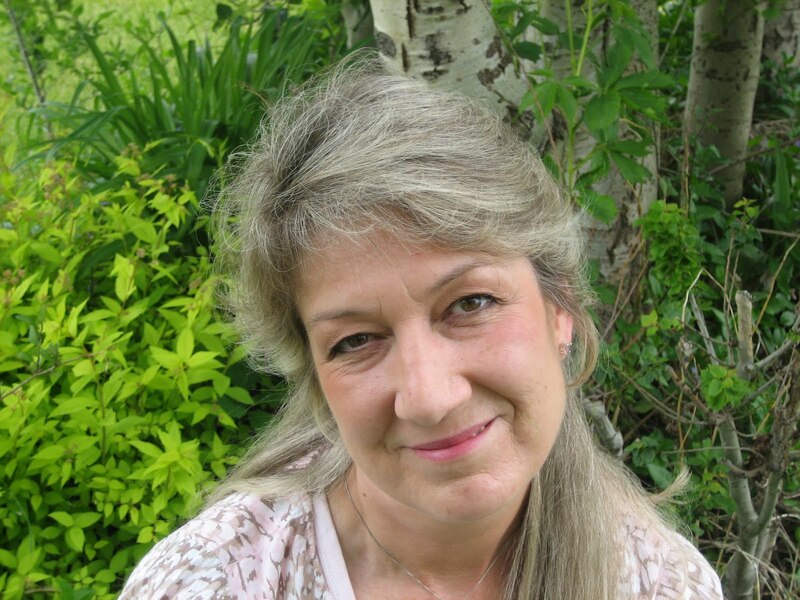 Cryssa Bazos is an award winning historical fiction writer and 17th century enthusiast with a particular interest in the English Civil War. She is a member of the Historical Novel Society, the Romantic Novelist Association and is a co-editor and contributor of the English Historical Fiction Authors blog. 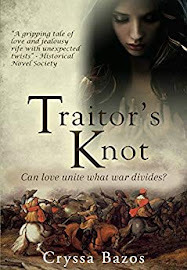 Her debut novel, Traitor's Knot, is a romantic tale of adventure set during the English Civil War and is published by Endeavour Press. It has been awarded a Discovered Diamond and a Discovered Diamond Book of the Month. 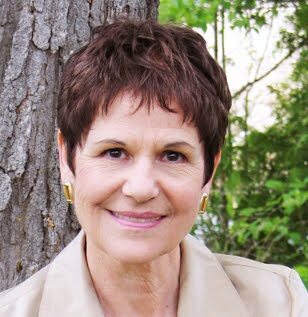 Nancy Bilyeau is a writer and magazine editor who has worked on the staffs of "Rolling Stone," "Entertainment Weekly" and "Good Housekeeping." Her debut novel,"The Crown," is a thriller set in Tudor England. Simon & Schuster's Touchstone will publish the "The Crown" in January 2012. Orion publishes it in February 2012, followed by Germany, Italy, Portugal, and the Netherlands. A native of Michigan, she lives in New York City with her husband and two children. Nancy is the author of The Crown. Debra lives in Oregon, USA. She has studied in various fields. Those that have had the greatest impact on her life are homeopathy and creative pursuits. She loves oil painting, interior and landscape design, jewelry design and at long last, writing. Her decision to write came when she watched the last period drama on her Netflix queue. Another story was definitely needed! Debra's novel, The Companion of Lady Holmeshire, is published by World Castle Publishing and receiving great reviews. She is working on her second novel, For the Skylark. 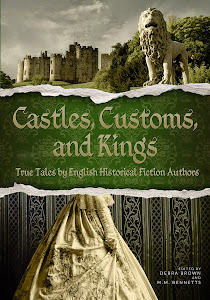 Debbie has also co-edited two volumes of select EHFA blog posts, published under the title Castles, Customs, and Kings: True Tales by English Historical Fiction Authors, Volumes I and II. Stephanie Cowell was born in New York City and fell madly in love with England when very young. She made a career as a soprano in opera and concert before turning to writing. 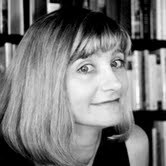 Stephanie published three English historical novels (Nicholas Cooke: Actor, Soldier, Physician, Priest, The Physician of London [American Book Award 1996], and The Players: A Novel of the Young Shakespeare; these were followed by Marrying Mozart (drawn from her love of singing Mozart) and Claude and Camille: a novel of Monet. She is back to England with her two novels-in-progress: the love story of Elizabeth Barrett and Robert Browning and a novel set in Glastonbury 1537. Anita Davison is an historical fiction author, born in London, a city whose past she connected with at a young age. When the other kids on the school trip coach were throwing the contents of their lunch boxes at each other, Anita was imagining men in wigs and heeled shoes coming out of coffee houses to climb into sedan chairs on the cobbles outside St Paul’s Cathedral. Weaned on Jean Plaidy, Anya Seton and Cynthia Harrod-Eagles, Anita still needs an occasional ‘London fix’ to top up her historical muse. 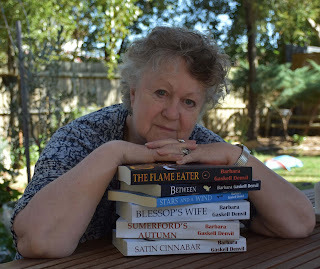 Often asked why she write about the past, when there are so many details to get right, and even more ways to get it wrong - she always says that historical fiction chose me. Richard was born in Ilkeston in Derbyshire and lives in Sutton Coldfield in the West Midlands. He works as a General Practitioner with a North Birmingham practice. He is married with two children. 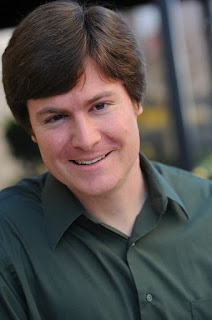 Richard is a Young Adult Historical Fiction and Historical Fantasy writer. His two historical periods are 6th to 7th Century Dark Age Northumbria and the 17th Century. Barbara was born in Gloucestershire, England and later moved to London where she grew up surrounded by books, paintings and antiques. Her Scottish father was an artist and playwright, her Australian mother was a teacher, and elder sister, a successful author first published at age 16. The classic Victorian author Mrs Elizabeth Gaskell was a great, great, great aunt, so a bookish family. When birthdays came around, no one was asked what they wanted. As a child she never owned a bike or scooter, the question was simply, "Which book do you want this year?" Her most treasured possessions are still her books; literary, illustrated, fiction and non-fiction. So perhaps writing was in her genes. When younger she worked in many literary capacities and published numerous short stories and articles, but now writes full length novels from her home in Australia. First published by Simon & Schuster, Barbara decided to move to self-publishing. 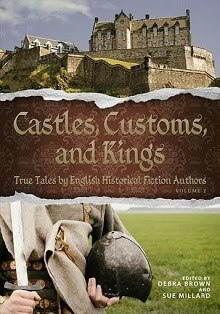 Her passion is for late English medieval history and this forms the background for many of her historical novels. She also write fantasy, yet both fantasy and historical fiction take us into new worlds and Barbara's books do exactly this - being multi-layered, and rich in atmosphere and depth of characterisation. Grace Elliot lives near London, where she works as a veterinarian. By night, Grace writes historical romance, much to the delight of her five cats - all vying for lap space. Her debut novel, ‘A Dead Man’s Debt’ was described as “historical romance at it’s best” by The Romance Reviews. Grace’s second book, ‘Eulogy’s Secret’, is another Regency romance and due for release November 2011. 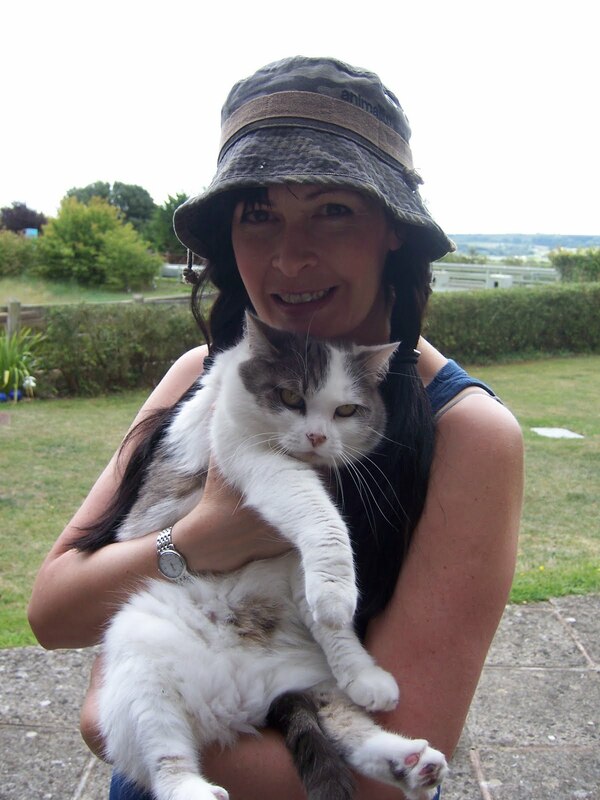 Also in November, Grace’s non-fiction book ‘Cat Pies – Feline Related Historical Trivia’, will be available. 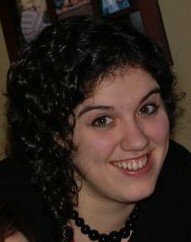 An avid reader, Lauren Gilbert was introduced to English authors early in life (from classic literature such as PERSUASION by Jane Austen and JANE EYRE by Charlotte Bronte, to period romances by Margaret Campbell Barnes, Victoria Holt/Jean Plaidy/Philippa Carr (all one person!) and Georgette Heyer, and to the mysteries of Dorothy Sayers, Patricia Wentworth and Agatha Christie). Lauren is fascinated by England and its history, and multiple visits to England have only heightened her interest. 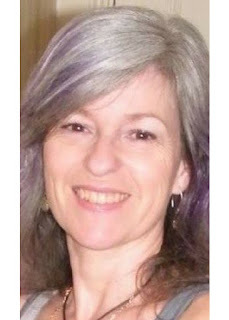 A member of JASNA since about 2001, she attended the Annual General Meetings in Los Angeles in 2004, and Vancouver, BC, CA in 2007, and will participate in the up-coming Annual General Meeting in Ft. Worth. Her first book, HEYERWOOD: A Novel was released in 5/2011. Scott Howard (who has posted as Scott Higginbotham) has always loved adventure, real or within the pages of a book. Family travels and those journeys that were courtesy of the U.S. Navy has given him an appreciation of the broader world. Gazing at the walls of the Jerusalem for the first time and crawling through the twisting tunnels beneath Rhodes Castle's old walls has left a lasting impression and a sense of awe as it concerns medieval history and its echoes. He holds a B.S. in Marketing and an MBA from Northwest Missouri State University and is currently finishing an MA at Luther Rice University. In the U.S. Navy, he was trained in the nuclear propulsion program and spent roughly nine years fulfilling the duties as a Reactor Operator. He is now employed as an engineer and lives in Georgia. His pursuits include reading, writing, and wondering what stories old walls could tell. Helen Hollick lives on a thirteen-acre farm in Devon, England. 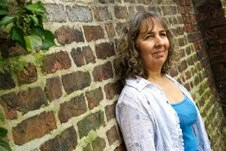 Born in London, Helen wrote pony stories as a teenager, moved to science-fiction and fantasy, and then discovered historical fiction. Her Arthurian 'Pendragon's Banner' Trilogy, was first published over twenty years ago, followed by her two novels of the 1066 era: Forever Queen (US edition title) /A Hollow Crown(UK edition title) and Harold the King (UK edition title) / I Am The Chosen King (US edition title). 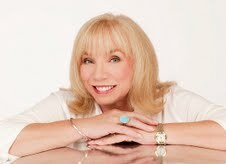 Helen became a ‘USA Today’ bestseller with Forever Queen. She also writes the Sea Witch Voyages, pirate-based fantasy adventures with four in the series so far (2015) and more on the way. As a supporter of Indie Authors she was Managing Editor for the Historical Novel Society Indie Reviews and inaugurated the HNS Indie Award. 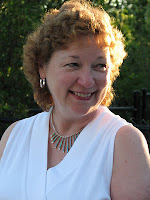 Currently she runs the Discovering Diamonds review site for historical fiction. Regina Jeffers is the author of several Jane Austen adaptations, as well as Regency romance, including Darcy's Passions, Darcy's Temptation, Captain Wentworth's Persuasion, Vampire Darcy's Desire, The Phantom of Pemberley, The Disappearance of Georgiana Darcy, Christmas at Pemberley, The Scandal of Lady Eleanor, A Touch of Velvet, A Touch of Cashémere, and The First Wives' Club. She considers herself a Janeite and spends much of her free time with the Jane Austen Society of North America and AustenAuthors.net. A teacher for 39 years, Regina Jeffers is a Time Warner Star Teacher Award winner, a Martha Holden Jennings Scholar, a Columbus Educator Award winner, and a guest panelist for the Smithsonian. She has served on various national educational committees and is often sought as a media literacy consultant. 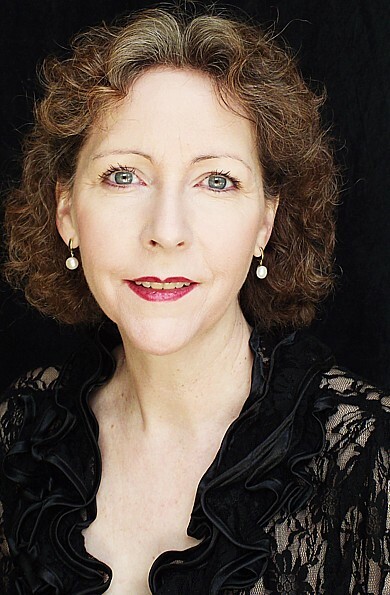 Barbara Kyle is the author of the “Thornleigh” series of novels set in Tudor England, including The Queen’s Lady, The King’s Daughter, The Queen’s Captive, and The Queen’s Gamble, all published internationally, and of Entrapped, a novel of romantic suspense. Barbara previously won acclaim for her thrillers under pen name ‘Stephen Kyle,’ including Beyond Recall (a Literary Guild Selection), After Shock and The Experiment. Over 400,000 copies of her books have been sold. 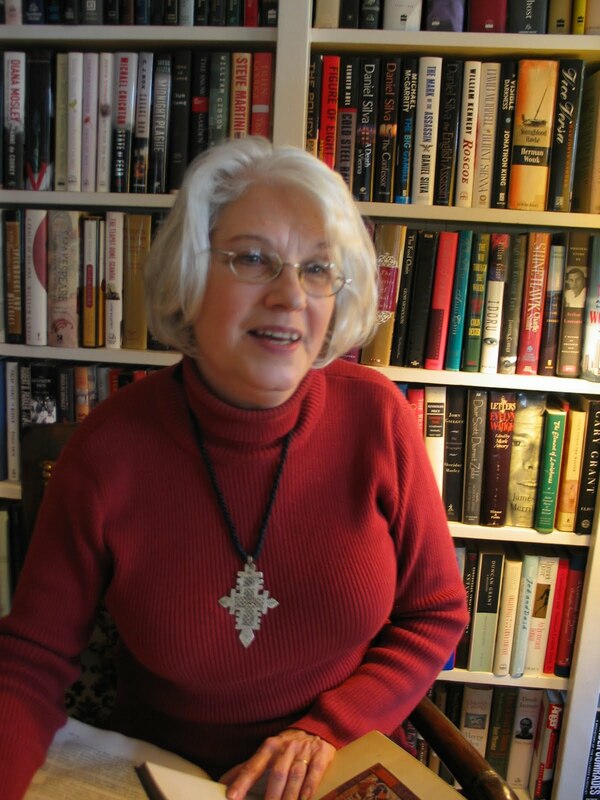 Barbara is passionate about helping emerging writers. She has taught her “Writers Boot Camp” for the University of Toronto School of Continuing Studies, and is known for her dynamic workshops for many writers organizations. She offers twice-yearly Master Classes that focus on workshopping each participant’s novel-in-progress. 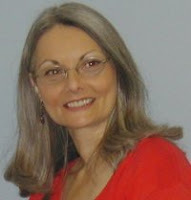 Her popular series of online video workshops “Writing Fiction That Sells” offers ten hours of tips, techniques, and inspiration, and is available via her website. Char lives in Kansas and spends most of her time at the library. She wishes she was there strictly to pursue research for her fiction, but alas, the library is her day job. Char's writing roots are in science fiction. 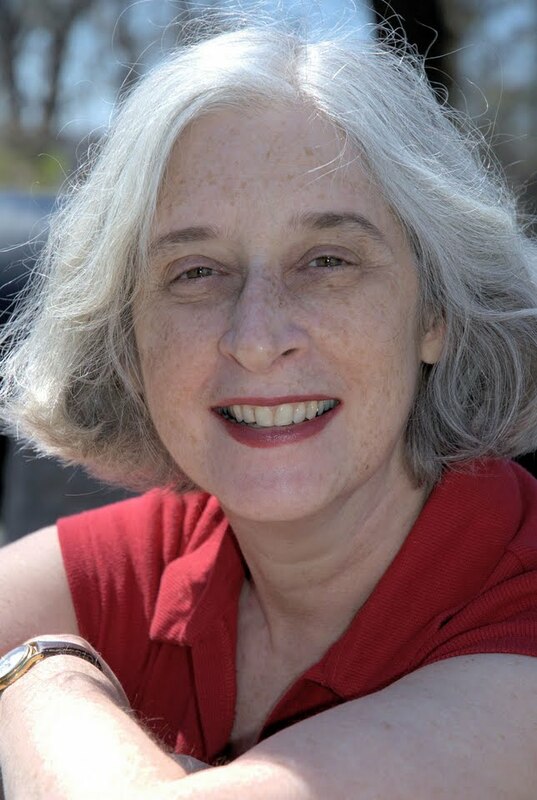 Since the mid 1990s, she has published numerous short stories in the Star Wars Expanded Universe, including "A Certain Point of View," in Star Wars: Tales from the Empire. She published her first novel in 2012, but her true love is historical fiction. 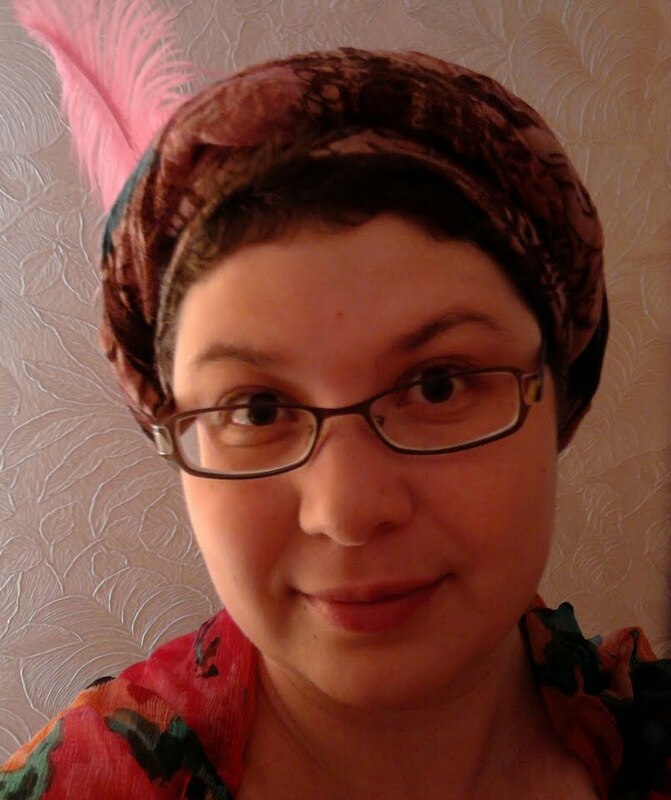 She is currently writing a historical adventure series set in the late 12th century. Battle Scars I, Men of the Cross and Book II, For King and Country, are B.R.A.G. Medallion honorees. King is an HNS Editor's Choice, a Discovered Diamond, a finalist in the 2016 Chaucer Awards for pre-historical fiction, and received an honorable mention in the Writer's Digest Self-Published Ebooks Awards. Char is a blog editor for English Historical Fiction Authors and continues work on Book III of Battle Scars. Mark writes historical fiction with a passion. An avid traveler and backpacker across Europe and North America, he also earned his BA and MA in History and English Literature before embarking on a career in historical fiction. By day, he works as a Technical Writer, having spent much of his career at places like Google and Facebook. He also writes short fiction online. When not reading or writing, he's probably listening to U2, sailing his dad's boat, or gardening with his family. His debut historical fiction novel, Between Two Fires was published by Macmillan and St. Martin's Press in August 2016. The sequel, Dark Winds Rising: A Novel (Queen Branwen) will be published December 2017. I have always been fascinated by English History. 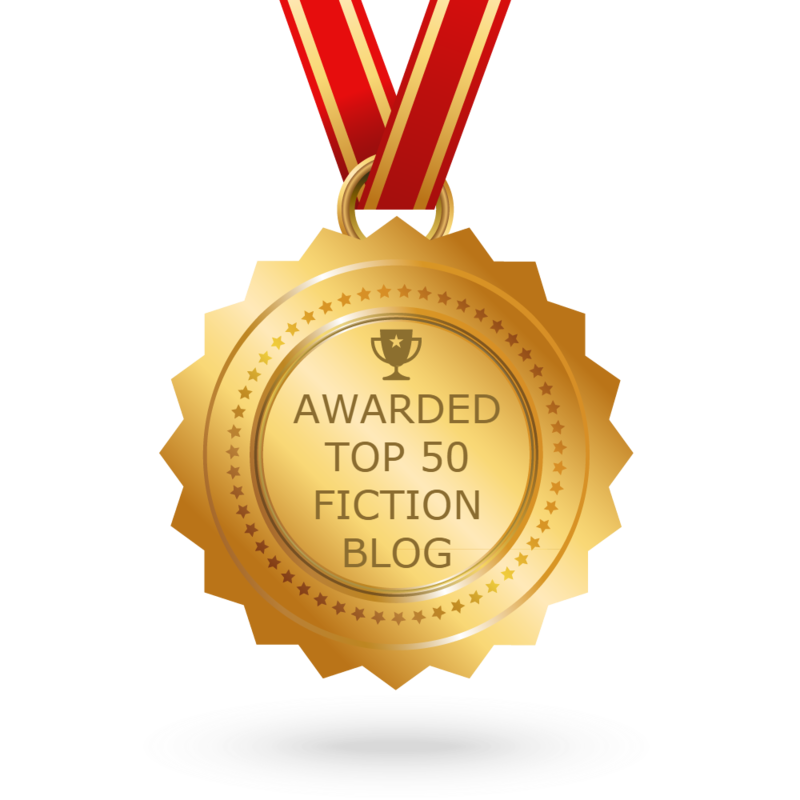 After teaching it, I decided to try my hand at writing historical fiction, and relocation gave me the spur. I live in an eighteenth century timbered cottage in the Welsh Marches on the borders of England and Wales, a wild, beautiful place renowned for its black and white houses, ruined castles and priories and magnificent churches. Steeped in history, famous people and bloody deeds, as well as ghosts and folklore, the Marches provide inspiration for my growing interest in all things medieval. 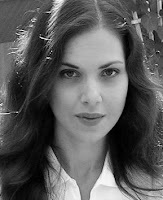 Jacqueline Reiter has a PhD in late 18th century British history from Cambridge University. Over the past few years she has conducted extensive historical research into the life of John Pitt, 2nd Earl of Chatham, the elder brother of William Pitt the Younger, best known to history as the “late” Lord Chatham and the commander-in-chief of the ill-fated Walcheren campaign of 1809. She describes herself as "ever so slightly obsessed" (which may be an understatement). Her non-fiction biography on Lord Chatham, The Late Lord: the life of John Pitt, 2nd Earl of Chatham was published by Pen & Sword in January 2017. 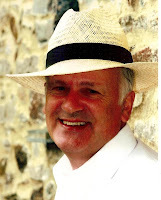 Mike was a lawyer in Bristol for thirty years before retiring with his wife to live in Spain in 2003. He then spent five years researching his collection of old family papers, many of them dating back to the 1700s. This led to the publication of the Journal of a Georgian Gentleman in 2011 – the story of his ancestor who was a hosier at One London Bridge. 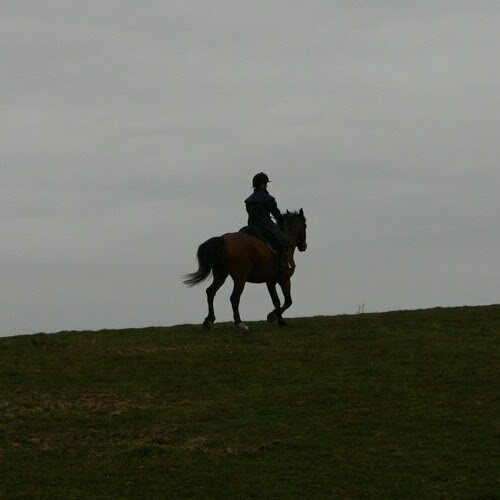 Mike now spends part of his time in Spain and part in the UK on the edge of Dartmoor. He has two daughters and five grandchildren all of whom live in the West Country. He lectures on life in the 18th Century as well as posting four or five times a week on his blog-site on different aspects of the eighteenth century. He is happy to receive inquiries either about giving talks, or about the book, via mikeandphil dot rendell (at) gmail dot com. Linda Root lives above Yucca Valley, California, a few hundred yards west of the Black Rock Canyon hiking trail into the Joshua Tree National Park. Before leaving the San Bernardino County District Attorney's office as a supervisor in 2004, Root tried just short of 140 jury trials, including homicides featured on national crime television. 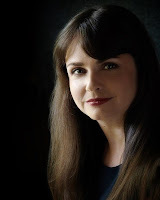 Anxious to try her hand at True Crime Fiction, In 2008 she began compiling a Murder Book, seeking to prove the guilt of Marie Stuart, best known as Mary, Queen of Scots, who is still a suspect in her husband Darnley's murder. Instead of the book she planned, her research inspired her to write her debut novel The First Marie and the Queen of Scots, first published in May 2011. Since then, she has written a second book in the Queen of Scots Suite, The Last Knight and the Queen of Scots, and is researching a third: The Reluctant Countess and the Queen of Scots. The first two stand alone novels of the Queen of Scots Suite inspired the four novels in the spin off series Legacy of the Queen of Scots, The Midwife's Secret: The Mystery of the Hidden Princess; The Other Daughter: Midwife's Secret II; 1603: The Queen's Revenge; and In the Shadow of the Gallows, a new twist to the Gunpowder Treason. She is currently working on the fifth book, The Deliverance of the Lamb, dealing with the aftermath of the Gunpowder Plot. Root and her two giant wooly Alaskan Malamutes Maxx and Maya share an acre and a half of desert landscapes with a pack of juvenile coyotes, a bobcat, assorted family members and occasional brave houseguests. Peter St John was born in London, at a time when worthless shares, and workless men littered the streets. His baptismal gift from two of the apostles became unliveable in a church-run orphanage destroyed in 1940 by Hitler's blitz. He was evacuated from the ruins to the countryside, where the Nazi aim again missed by a hair's breadth. "Grammar" school was "Granpa" school: young men at battle replaced by oldies... and bright young women. As an eager Air Force pilot, Peter navigated the winds, envied the birds, and learned the "arts" of war. Back in civvy street, Peter discovered marriage, fatherhood and Australia, he studied engineering and put letters after his name. Aimed for the moon at Woomera, but hit the rusty desert instead. It's bloody hot, mate, in the sun; bloody cold at night. It's bloody deadly too sometimes, but strewth, so bloody lovely. And so to fiction, with his first novel published in 2007, followed now by seven more. At bottom, fiction is founded on fact, but for Peter, the wondrous reality of life escapes the written word. The will strives, but how to write it? **Subsequently re-activated as the European Space Agency with the highly successful "Ariane" project. Gang Territory; Gang Warfare; Gang Rivalry; Gang Loyalty; Gang Petition; Gang Spies; Triple Agent; Siberian Summer. Note that Gang Territory, Gang Warfare, Gang Rivalry, and Siberian Summer, have also been published in paperback. They are currently out of print but are still featured (including used copies) in Amazon's catalogue. Deborah used to work as a set and costume designer for film and TV, and later as a freelance lecturer in theatre arts. Historical fiction was a natural choice for her as a writer because she has always enjoyed the research aspect of her work in theatre, not to mention the attraction of boned bodices and the excuse to visit old and interesting buildings. She lives in the glorious countryside close to the Lake District, home to the romantic poets Coleridge and Wordsworth, in a house which used to be an old school. 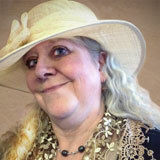 Deborah is the author of The Lady's Slipper, and The Gilded Lily. Annie Whitehead is a history graduate and prize-winning author. Her first novel, To Be A Queen, is the story of Aethelflaed, daughter of Alfred the Great, who came to be known as the Lady of the Mercians. It was long-listed for the Historical Novel Society’s Indie Book of the Year 2016, and has been awarded a B.R.A.G. 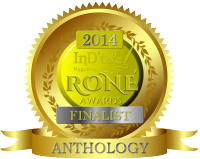 Gold Medallion and a Chill with a Book Readers' Award. Her second novel, Alvar the Kingmaker, is a tale of intrigue, deceit, politics, love, and murder in tenth-century Mercia. It charts the career of the earl who sacrificed personal happiness to secure the throne of England for King Edgar, and, later, Aethelred the Unready. It too has been awarded a B.R.A.G. Gold Medallion, along with a Discovering Diamonds Special Award and Chill with a Book's Book of the Month Award for January 2017. She contributed to the #1 selling anthology of short stories, 1066 Turned Upside Down, in which nine authors re-imagine the events of 1066, which was just been awarded HNS Editors’ choice and long-listed for Book of the Year 2017. When Sense and Sensibility was first released, it was debuted to the Public as ‘a New Novel by a Lady—’; some weeks later it had transformed into an ‘Interesting Novel by Lady A—’. Rarely does this pseudonym—created by the Regency’s beau monde for Jane Austen—get a mention in the otherwise well-known Bard of Bath’s history, but it was this very enigma that attracted me to it. I am, after all, also just a lady, secluded somewhere in the country, trying to create unique, ‘comedy-of-manners’ novels, in the wry abandon of anonymity. To which end, I offer you a little biography. I wouldn’t declare, emphatically or otherwise, that I am a Janeite. I am, rather, an ardent admirer of that lady’s willful success against the patriarchal odds of the Regency period. Not unlike many feminine modern writers of historical fiction, the bewitching Ms. Austen was my feminist Achilles Heel and I fell fairly foul of her at age 15 (via an epiphany over Mansfield Park!). 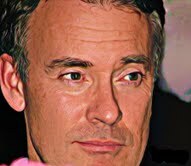 This enchantment continued into decades and besides following a string of career choices that whisked me from ‘flying’ to fashion, I pursued the Jane Ideal with the alacrity of a scholar—inside and outside of hallowed halls—and while wondering where it would all take me at last. That ‘landing place’ was eventually made evident and whether or not it was the savviest decision on the 'A'-genda, I elected to write a ‘companion’ collection of seven original novels to Austen’s perfect six. These modern ‘cousins’, if you will, are ‘aligned’ with JA by means of a delicious ‘historical’ conceit; the ‘mystery’ of which is unveiled in the preface of every ‘Bath Novel’. 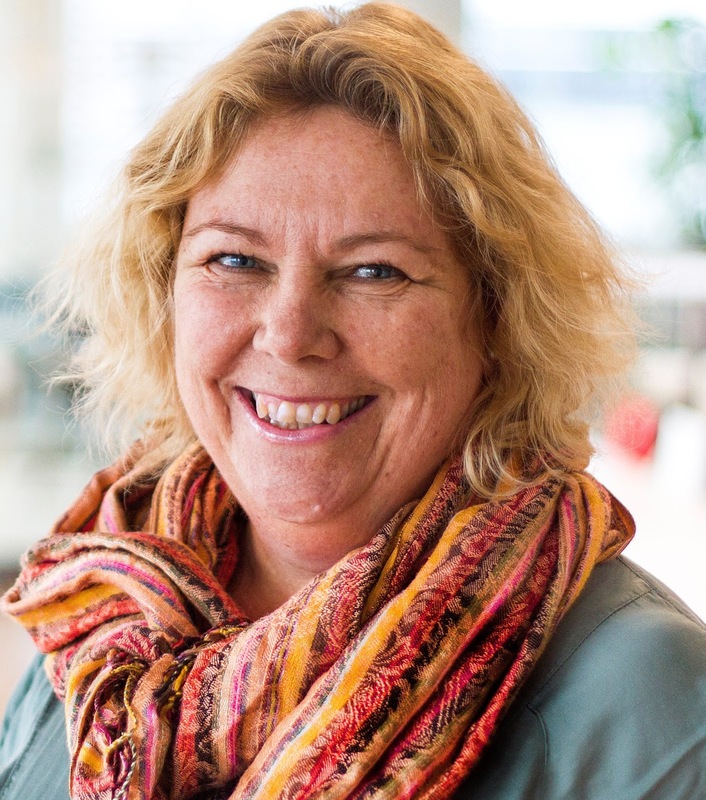 Jenny Barden has had a love of history and adventure ever since an encounter in infancy with a suit of armour at Tamworth Castle. Training as an artist, followed by a career as a city solicitor, did little to help displace her early dream of becoming a knight. Impelled by a fascination with the Age of Discovery, she has travelled widely in South and Central America, and much of the inspiration for her debut novel came from retracing the footsteps of Francis Drake in Panama. 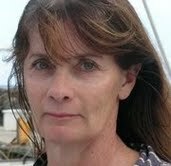 This book, Mistress of the Sea, will be published by Ebury Press in August 2012. Jenny is currently working on another Elizabethan romantic adventure centred on the 'lost colony' of early Virginia. She is active in many organisations, having masterminded the Get Writingconferences for three years and moderated the Reader Awards for the UK's inaugural Festival of Romance. 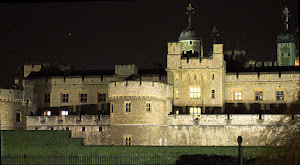 She is at present the co-ordinator for the Historical Novel Society's London Conference 2012. Jenny has four children and lives in Hertfordshire with her long suffering husband, a loving Labrador and a deadly Bengal cat. An avid cross country rider, Bennetts was also an accomplished pianist and accompanist, having regularly performed music of the period. The author lived in the south of England. 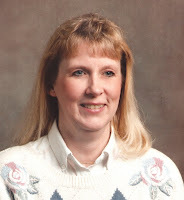 Although she grew up in Durham, North Carolina, Teresa was born, and has lived most of her life in Northeast Tennessee. Intrigued by the Regency era of English history as portrayed by the inimitable Georgette Heyer, Teresa wrote her first novel, A Very Merry Chase, at age 20—and spent the next 35 years obsessively rewriting it as she explored other genres. Science fiction, fantasy, horror, space operas, paranormals, revisionist fairy tales and mythologies, stories for storytellers, and a screenplay about a female pirate all followed...and promptly found their way into the obscure privacy of a succession of carefully guarded C drives. Time passed as time tends to do, and along the way Teresa introduced late night horror shows as a Southern Belle vampire, sold gemstones on home shopping channel, earned a B.A. and M.A. in history with a special—albeit haphazard—concentration in women's studies, raised two sons, and settled into a career as an HR Director. In October 2010 she finally published the Regency romance she first wrote all those years ago, and began the process of editing all the other stories and novels that she's kept hidden away for so long. In December 2011 she published Shadows In A Timeless Myth, a Historical/Paranormal Romance/Horror Novel that she originally began writing in the summer of 86.
author of the highly acclaimed Roxton Series (NOBLE SATYR, MIDNIGHT MARRIAGE, AUTUMN DUCHESS) and a Georgian Crimance (Crime with lashings of romance) series DEADLY ENGAGEMENT and DEADLY AFFAIR. Her stand alone Georgian Historical Romance SALT BRIDE and AUTUMN DUCHESS were both awarded 5 star Top Pick – Keeper Shelf by Night Owl Reviews. 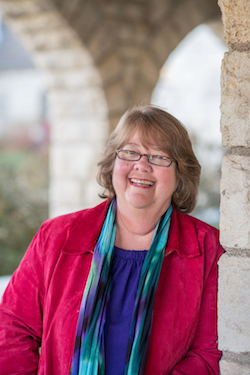 An award-winning author of novels, short fiction, creative nonfiction and poetry, Linda Collison has published in a variety of literary, commercial, and trade publications. 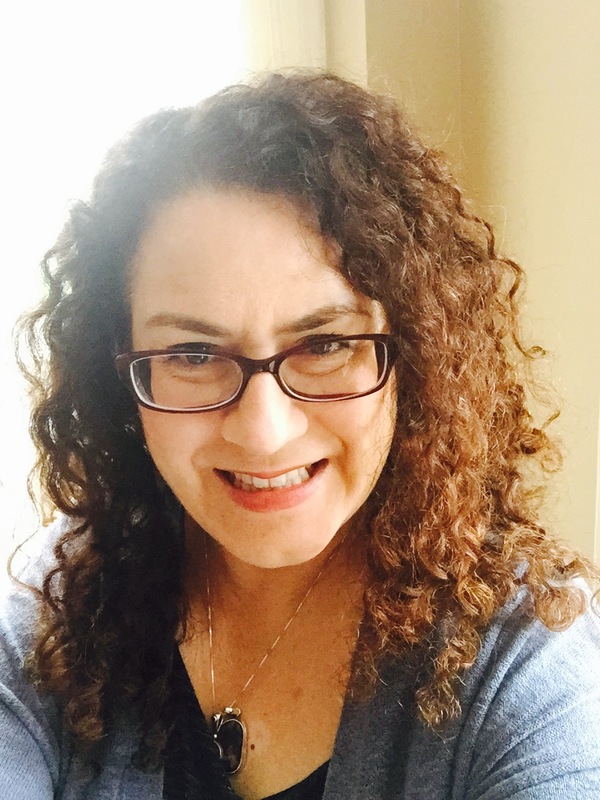 She has enjoyed a composite career combining freelance writing with nursing and raising children --and an odd collection of part time jobs including shoemaker, waitress, ghost writer, and skydiving instructor. With her husband Robert Russell, Collison has sailed thousands of miles on various vessels, including Topaz, a Luders-36 sloop. In 1999 Linda and Robert served three weeks as voyage crew aboard Endeavour, a replica of Captain James Cook's 18th-century ship. It was during the crossing from Vancouver to Hawaii that the idea for the Patricia MacPherson Nautical Adventure Series was born, as well as an enduring fascination with maritime history. Jenna loves everything about the Victorian age, which is why she started writing novels set in that period. She began writing at the tender age of thirty years old whilst commuting into London. She loves writing and researching into the Victorian Era, adding to her huge pile of books regularly. She now lives in Devon with her family in a quaint (and sometimes drafty) English cottage. Author of the historical novels THE QUEEN’S PAWN and TO BE QUEEN about the ever astounding Eleanor of Aquitaine, Christy has also written a series of romances set in a very fictional Regency England. HOW TO TAME A WILLFUL WIFE, based on Shakespeare's The Taming of the Shrew is available now, and the second novel in the series, Love On A Midsummer Night will be released in August 2013. Marie is married to a wonderful man. Together, they have three loving daughters and several beautiful grandchildren. Marie works full time for the state of Utah, where she has lived her entire life. Marie plans to keep writing, because the characters in her head won’t shut up. But her husband smiles and pretends this is normal. You can email her at mariehiggins84302@yahoo.com. "Rose" is a medieval enthusiast, a book addict, a mom to two twin boys, and a native of Portland, Oregon. She graduated from New Saint Andrews College in 2005 with a B. A. in Liberal Arts and Culture and worked as a high school teacher for several years teaching classes in English, history, literature, and music. She and her husband David Spears were blessed with twin boys, Adam and Oliver, in November of 2010, and they are expecting "Boy Number Three" in January of 2012. Rose's first book, I Serve: A Novel of the Black Prince, explores the concepts of chivalry, honor, and courtly love as it follows a young English knight through the tumultuous world of the Hundred Years' War. Her latest book, Road from the West: Book I of the Chronicles of Tancred, steps back into the eleventh century world of the First Crusade, and she is currently at work on the next two titles in that series. Wanda’s great passion for British Literature was born in her youth from the stories spun by Charles Dickens and Jane Austen. 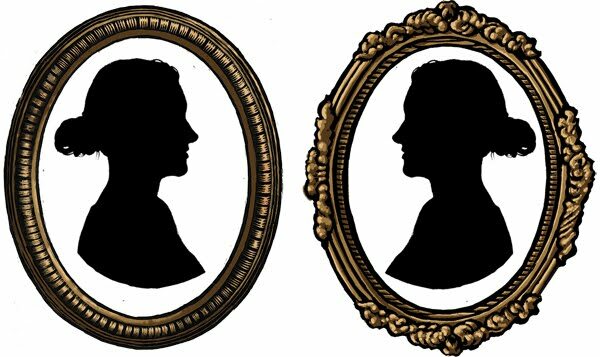 The old-world vocabulary and sentence construction, as well as the historical settings and storylines of their books, held a strong enchantment for her, an affection that followed her into adulthood and has now propelled her into a great love for writing in the Regency Era. live in Germany. She lived there for one and a half years had what she calls one of the great experiences of her life. Wanda returned to the U.S. and three years later received her B.A. in German Literature. hooked on a great adventure. Twelve submissions for publication returned two offers and nearly three. Last June, Wanda’s first Regency was published and has received a great deal of praise for its similarity of style and syntax to that of Jane Austen. Although Wanda will not make that claim herself, she works hard to have some hint of the Regency-era tone in her writing. At present Wanda is completing the revision process on her second, but still-unnamed, Regency. She loves to hear from her readers and hopes you will visit her blog, where every Wednesday she posts a snippet from her work-in-progress. I’m currently writing books set in Regency England according to Jane Austen. She’s my favourite author and my main inspiration when it comes to my Regency endeavours. I greatly admire her elegant style of narration, her wit, irony, and that simple yet exciting charm of her prose. I’m in love with half of her gentlemen and wish to be friends with many of her ladies. I’ve been writing as long as I can remember myself and I’ve tried my hand in quite a number of genres – poems, songs, essays, short stories, fairy-tales, fanfiction, diaries – before I finally realized that it was novel-writing that I wanted to pursue. At the moment I’m working on two epistolary projects: a novel from the hero’s point of view and a novella that I post on my blog every Wednesday. And, while almost all of my story-ideas are Regency-set, I now have in my possession a plot for a Victorian novel complete with a sweet yet poor heroine, wealthy but misguided hero and a famous detective involved. Beethoven’s 7th, Mozart and Celtic. 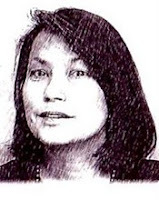 Katherine likes to read historical nonfiction of 17th Century, Dickens, Tale of Two Cities, Dumas, Count of Monte Cristo, Thomas Hardy’s works and Robert A. Heinlein, Stranger in a Strange Land. A magazine editor and writer, Tim lives in Maine in the USA with his wife and three sons and the family dog, a black lab who is always on the wrong side of the door! His house is a stone's throw from the ocean and when the mist rolls in or during snowy winter nights, Tim can hear the fog horns from three lighthouses bleating their warnings to mariners on the Atlantic. Tim teaches celestial navigation both ashore and on tall ships, has made a few short films and is an offshore sailor with thousands of ocean miles. For Tim, however, the greatest adventure takes place in the imagination. It was was just such a foray into the unknown that led to his historical novel, George in London, a humorous account of 19-year-old George Washington's wild trip to London in 1751 to seek his fortune. Felicia' book, soon to be released, is There Your Heart Will Be Also. 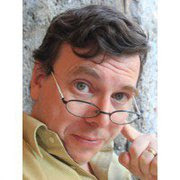 Sam Thomas is a professor of history at the University of Alabama-Huntsville and author of historical fiction. His first novel, The Midwife's Tale: A Mystery, will be released by Minotaur/St. Martins in 2012. Friend him on Facebook or Twitter. Brian Wainwright has had a deep interest in the middle ages for most of his life. He cannot explain this satisfactorily, although a fair bit of his childhood was spent climbing over castles in Wales, and he always loved Robin Hood, El Cid, Ivanhoe and similar tales. In his teens he developed a particular fascination with the era of Richard II, another king he believes history has sadly misjudged. There were few novels about that period and Brian eventually came across White Boar by Marian Palmer which started him off on his fascination with the Third Richard. The 14th and 15th centuries remain his favourites and his main focus remains with the House of York throughout is existence. His first published novel, The Adventures of Alianore Audley, was produced by way of light relief during a lull in the long task of researching and writing Within the Fetterlock. He was surprised by the number of people who appear to enjoy what he admits is his fairly eccentric sense of humour. Alianore Audley may be described as a parody of historical fiction, though its background was nevertheless carefully researched. Brian Wainwright is now a full-time author, although his own and family health problems have made progress on his projects painfully slow. In 2011 he published The Open Fetterlock in Kindle format. He describes this as ‘not so much a book, more a collection of pieces from the cutting room floor’. Active projects include a prequel to Within the Fetterlock, a second Alianore Audley book, and a long-cherished serious novel about Richard III.